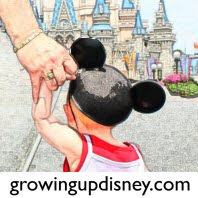 Growing Up Disney: October at Walt Disney World! 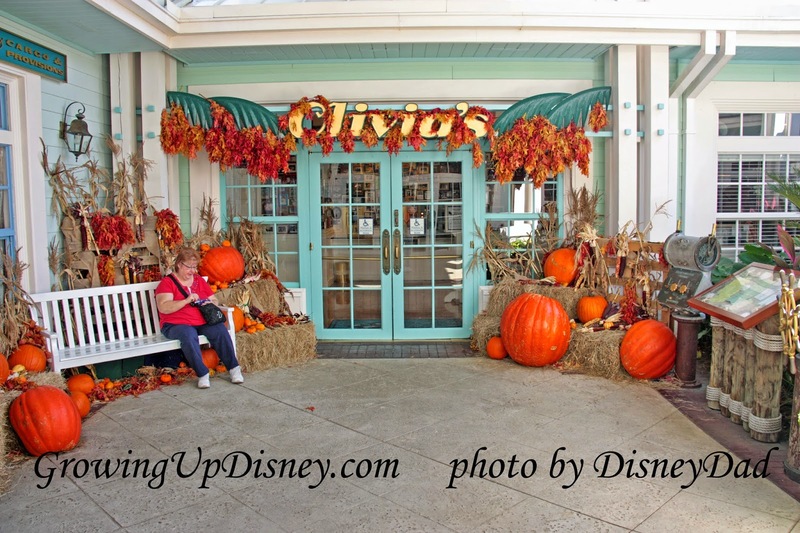 Walt Disney World does a wonderful job of decorating for seasons. 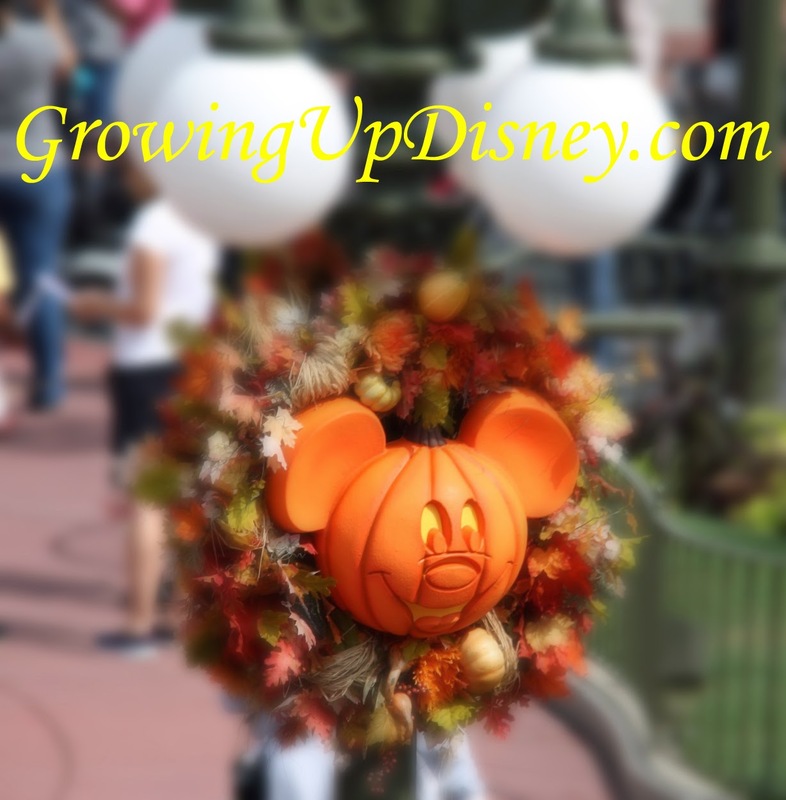 October turns the Magic Kingdom orange for Halloween and Mickey's Not So Scary Halloween Party. There is special entertainment and the Boo-to-You Halloween Parade and the Happy HalloWishes fireworks. October means the EPCOT International Food & Wine Festival is in full swing. Sunday night, Ridge and I, (Mom decided to skip this) will be at the Magic Kingdom for MNSSHP. I hope to post some and tweet (@DisneyDad28) some from the Party. I'll do what I can but Amy normally does the live posting, but unfortunately she was not able to be on this trip. The rest of the week Mom, Ridge, and I will be having some fun the EPCOT International Food & Wine Festival. Unlike some trips we only have one meal reservation. We have a Fast Pass for lunch at "Be Our Guest". We were fortunate for our last trip and this one to have an invitation to use the Fast Pass for BOG. You don't just get a time to go to the restaurant, you go ahead and order your lunch on line. You check in at the Fast Pass entrance, verify your order, pay and find a seat. If you have never been to Be Our Guest Restaurant, there are 3 massive dining rooms that seat a total of about 550 guests. The dining rooms are easily recognizable from Beauty and the Beast. You may dine in the Grand Ballroom, the Rose Gallery, or if you dare, the West Wing where you may catch a glimpse of the enchanted rose. October has been a family trip for years, but this year Amy and her family won't be with us. So no granddaughters on this trip. :-( So without children we don't have to try to keep to the kiddo's schedule. And can dine places you wouldn't want to take a small child (like the BOG West Wing). But this also means we have not scheduled any character breakfasts or meet-and-greet with any characters. At each marketplace there is also a selection of beer and wine representative of the countries. And Hanson (who performed in September at the Eat to the Beat Concert Series) has their craft beer - Mmmhop - at the Fife and Drum at the American pavilion. I'll also try to give an "unbiased" review of the Lumber Jack Show replacement for Off Kilter which is reported to begin next week. I'm not sure how unbiased I'll be as I absolutely loved Off Kilter and am very disappointed Disney has gotten rid of them after all these years.